Rehearsal ceremony for bridal party. Rehearsal semi-private dinner in specialty restaurant for 2 hours with set menu for 20 guests. Judge or minister fees included. 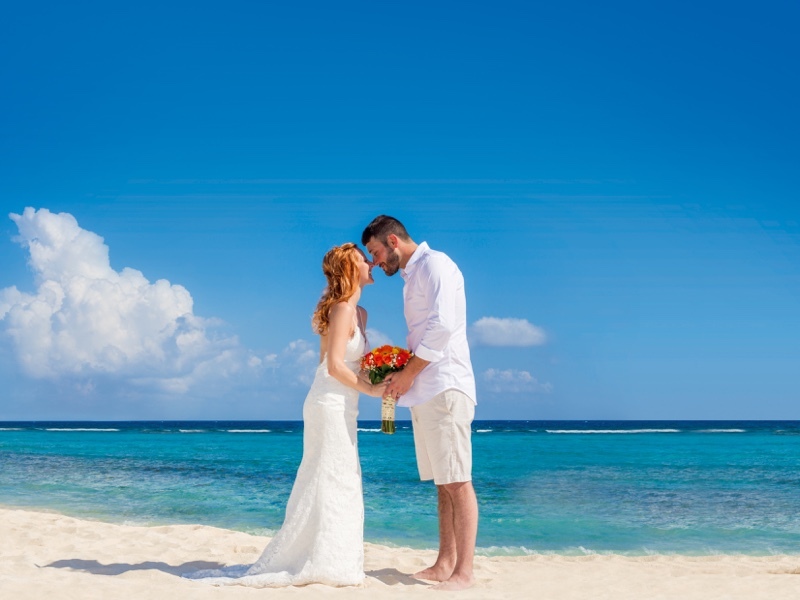 Special location for ceremony at beach or terrace (available according to host hotel). Special floral centerpiece on judge/minister table (local tropical flowers). Exclusive decor with our O Wedding special arch & set up in white. Audio equipment with ambiance music and microphone during ceremony. Semi-private event in a specialty restaurant with guided menu and domestic drinks (for 2 hours). Private event for 2 hours with domestic open bar + DJ with music & lights + canapes (4 per person). Canapes during cocktail (4 pieces per person). Romantic decoration & aromatherapy in couple's room. Gourmet breakfast in newlywed's room the day after the wedding. Includes 10 photographs of the wedding ceremony by O Photo (hotel's exclusive photographers and videographers).